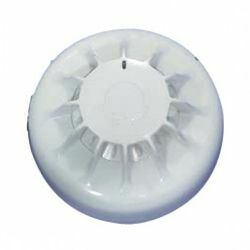 The Safety Centre are pleased to announce the addition of a conventional carbon monoxide detector to our product range. This detector is ideal for use on conventional type fire alarm systems and will allow the fire alarm system to be activated on sensing carbon monoxide in the atmosphere. For more information on these products call us NOW on 01200 428 410. These devices include the Tyco Minerva 601CH which is a combined heat and carbon monoxide detector. This unit has a compatible base plate and an integral LED which illuminates when the detector is activated. In addition to the Tyco 601CH detector we also have a range of Aico Domestic type carbon monoxide detectors available. These are available in both battery powered and mains powered versions.